If you live near a wooded area, you probably enjoy the peace and happiness that only woodland creature’s noises can bring. The chirping of the birds in the morning, humming birds and squirrels visiting your feeders, chattering away pleasantly, and the occasional hoot of an owl al night may be the picture of earthly bliss. But it also means that you run the risk of having these animals as unwanted guests in your attic. Attics are generally dark and cozy places, filled to the brim with boxes, old furniture and empty suitcases; perfect for a wild animal to make it their home. The fact that they are rarely visited by humans, means that these animals will be almost guaranteed privacy for months on end, the perfect place to live. Most of these tiny tenants can pass unnoticed for many weeks because of their size, their nocturnal habits and shy behaviors. 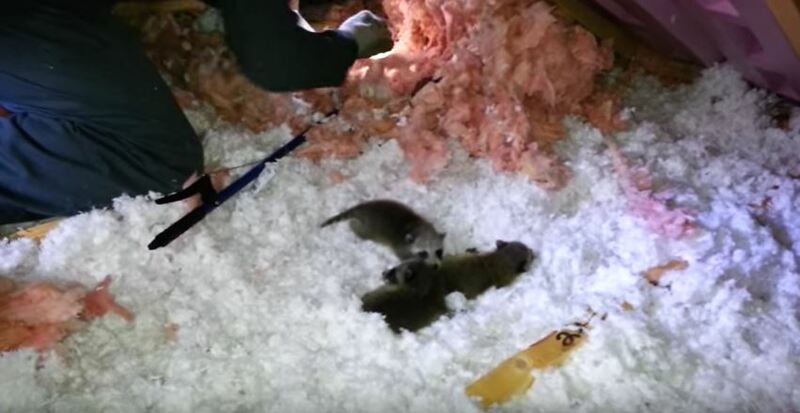 Most people only notice mice or rats when there is already a fully - fledged family living in the attic, following the slight scurrying sounds during the night or finding occasional droppings on the floor. These tell – tale signs of wild animals in your house signify a grown animal that has been travelling through your walls or rafters, and the common mistake many people make is to think that by catching one, the problem is solved. The fact is that almost every single animal in the world lives for mainly three things: finding food, finding shelter, and breeding. This means that if you find an adult animal in your house, you are almost 100% guaranteed there will be babies. Not all animals breed all year round, but the most common pests like mice, rats and bats, do. The babies will not be scampering around your house at night, only the mother does this to find food for her young, but they will be cozily snoozing in a warm, soft nest in your attic, built with torn bits of newspaper, insulation and fabric, when removing the invading animals, it is imperative that you retrieve the complete family, or else the babies, without their mother, will die and you will then have to deal with decaying bodies and very unattractive odors. Go back to the How to Get Rid of Pests page or email us if you have any other questions about How do I know if there are baby wild animals in the attic?